Halloween is approaching and the Xolos’ offense is scary bad this season, with just 10 goals scored in 13 games. Club Tijuana has had the second-worst offense in the tournament with only two more goals than Atlas, who did not score their first goal until Week 8 of the 2018 Apertura. The Aztec Canines have only scored more than one goal in a game twice this season and the current top scorers on the team, Luis Fuentes and Miller Bolanos, only have two goals each. Fuentes is a defender and has the same amount of goals as strikers Erick Torres and Juan Martin Lucero combined, who have proved to be very ineffective. Julio Furch and Andre-Pierre Gignac are currently leading the Liga MX with 10 goals each, the same amount of goals as the entire Xolos’ team. Club Tijuana has other players that can step up in the striker position and it is baffling that Diego Cocca has continued to give minutes to “Cubo” Torres and “Gato” Lucero. Some of the direct replacements, without having to change formation, include the likes of Daniel Lopez and Rubio Rubin. Rubin has only been given 135 minutes of play this season and is a player that can slot into the striker role. The 18-year-old Lopez has yet to receive any minutes in the Liga MX, but did manage to score a goal in just 179 minutes of play in the Liga MX. Erick Torres currently has a scoring rate of a goal every 660 minutes, while Juan Martin Lucero has been even more ineffective with a scoring rate of a goal every 737 minutes. Diego Cocca could also switch to a 4-3-3 formation and start Miller Bolanos as a lone striker with Eryc and Fabian Castillo out on the wings to make for a speedy and exciting attack. 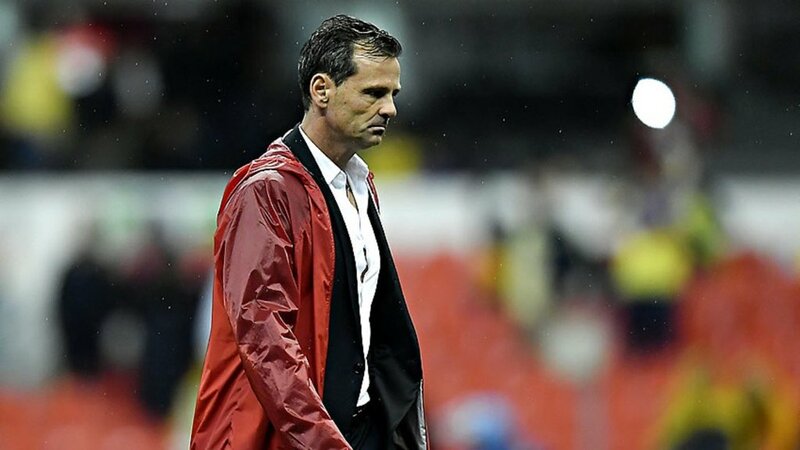 However, it is very unlikely that the Argentine manager will stray away from his 4-4-2 formation, especially after falling 3-0 to Club America with a 5-2-3 setup this past Saturday. The Xoloitzcuintles are currently in 13th place with 16 points, competing for two or three playoff spots with seven other teams. The Border City Dogs are just three points out of eighth place, but will continue to drop points if the offense fails to get a consistent rhythm going in these last few games.